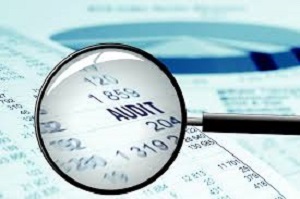 The word audit is practically synonymous with paperwork. For those directly involved, it often feels as though every document the company has ever created needs to be reviewed and analyzed to ensure compliance. The objective, of course, is to have a professional provide an objective view of the company’s financial documentation to ensure the actual state of financial affairs matches the claims it puts out. It sounds simple, but the process of evaluating this is quite complex. Naturally, that means wherever it is possible to make the process simpler, it’s wise to do so. There are three steps in particular that a business can take to simplify the audit process. Ensuring employees use proper document management protocols for sensitive information is the best way to make sure the company is in compliance during an audit. It also ensures that documents are organized, so that any piece of necessary information can be found at the drop of a hat. These protocols should include what employees should do with different types of documents, the appropriate length of time to store documents, and who is allowed to access them. Before the auditor arrives, a secure file sharing system that allows the company to share documents instantly can save everyone stress and money. It also eliminates the need to email sensitive documents over insecure lines. Secure virtual data rooms are a great option for this because they come with a number of additional features to guarantee security and eliminate the need for a third party to download or store confidential documents on their own computer. Virtual data rooms ensure that sensitive information won’t fall into the wrong hands. It’s been said before: an ounce of prevention is worth a pound of cure. Auditors need to thoroughly understand existing protocols and require detailed information on how people at each point in the company’s processes handle financial data. Using permission based roles for user access and keeping an audit log of who viewed what, when and where can largely eliminate that.